"Though grown-ups might, look at him with fright, the children all love him so." I'm continuing my month-long series of blog posts, Countdown to Halloween, discussing Halloween-appropriate and Christmas crossover entertainments. I can't help but be reminded of everyone's favorite ghost, Casper. Did you know Casper is featured in three Christmas stories? Most people were introduced to the character of Casper the Friendly Ghost from the cartoons. These were made for theatrical release by Paramount's animation studios starting in the 1940s. Have you ever seen this 1952 Christmas cartoon True Boo featuring Casper? 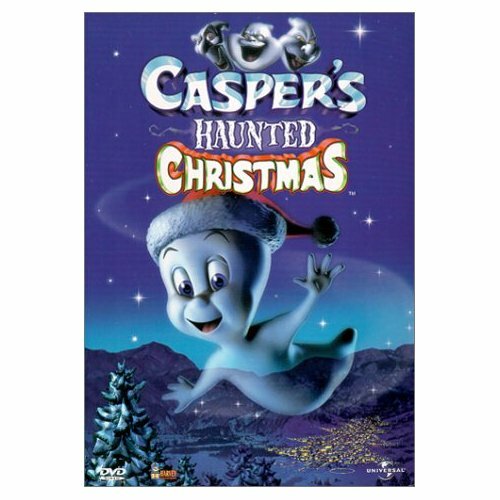 In Casper's First Christmas, the friendliest ghost you know makes new friends with a pack of H-B characters that arrive in the condemned house where Casper lives. Later Hanna-Barbera would make the 1979 animated TV special Casper's First Christmas with Casper's ghost pal Hairy Scary. It also includes a stable full of H-B characters such as Yogi Bear, Boo Boo, Quick Draw McGraw, Huckleberry Hound, Snagglepuss, Augie Doogie and Doggie Daddy. 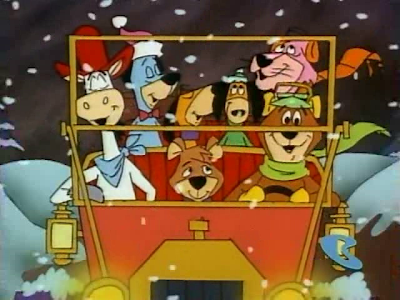 In 2012, Warner Brothers finally released this TV special on Hanna-Barbera Christmas Classics Collection. This children's favorite is also available on DVD. In 2000, the CGI-animated feature length movie Casper's Haunted Christmas was released. This movie can still be found airing on TV each December. In this story, the ruler of all ghosts, Kibosh, has given Casper the deadline of Christmas day for him to scare just one person or the little ghost will be banished to the Dark. Of course, Casper doesn't like scaring people and he befriends a little girl named Holly Jollimore whose parents make Christmas tree decorations year round. Have you seen all three? We all know Ebenezer Scrooge's Christmas ghost story--do you know of another ghost at Christmas time?